Have any thoughts, suggestions or comments about this website? Please feel free to leave a comment by clicking on the "post a comment" link below. What can I say , so much to absorb so much to understand , so much to be thankful for; for your dedication to this Blessed Saint. Thanks again ! This is truly a wonderful web site that you have created to honor Saint Gemma. She is one of my favorite saints. I have a question, the two photos of Gemma at the top of the home page of your web site, what is the difference in her age between the two photos (the main large photo on the left, and the smaller photo on the right side)? I'm just curious about her age in each photo because it doesn't look like the same person (I understand it is her, but she doesn't look the same). Thank you and may God bless your web site! That is an excellent question. The one on the top right on all the pages of the website is definitely an actual photograph of St Gemma. 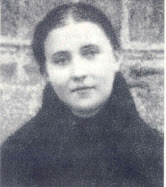 Professor Rudolph Bell in his book "The Voices of St Gemma Galgani" says that she is about 22 years old in this photo. Note that their is another one similar to it in the Photo Gallery section of the website that was undoubtably was taken at the same time. One of her eyes is partially closed in that one. I cannot give you a precise answer regarding the other "picture" on the Home page---whether it is an actual photograph or if it is a portrait drawn by an artist. This "picture" is by far the most common one of St Gemma and is popularly seen in all the books and on the Internet. Interestingly this one is the one that Father Germanus has in his Biography on Gemma, and also Philip Coghlan has this one also in his book...both of these books were written not long after Gemma's death and obviously if it is not an actual photograph, it must at least represent her very well since Father Germanus chose this one and was her spiritual director. Note also that there are two of these pictures really; the other one is where she has her hands folded and she is looking heavenwards in a prayer like posture. You will see that one also in the Photo gallery section of the website. Please let us know what you find out to confirm. Thank you. This really is a great question. I have a couple of reasons as to why I am not certain as to whether that particular one (and the other one where she is looking heavenwards)is an actual photograph of St Gemma, but let me contact a few people and see if I can find out for certain. Hopefully I will get back to you soon with a reply. I do know that the one on the top right of the website is definitely a photograph of her, along with the other one like it in the Photo Gallery. Thanks Glenn. I appreciate it. Please let us know what information you find out about the picture. Question # 1: Is this a real and actual photograph taken with a camera (not a painting or other work of art) of St. Gemma Galgani? Question # 2: If the above picture is really an actual photograph, then what was St. Gemma's age when the photo was taken? Thank you Professor Bell for your comments. We sincerely appreciate it. As stated in his comments above, Professor Bell is the co-author of the book "The Voices of Gemma Galgani: The Life and Afterlife of a Modern Saint". I had emailed Professor Bell regarding the question of the authenticity of the various pictures of St Gemma, and we thus exchanged a few emails discussing the subject. -that being the Italian and English books that reference these 2 pictures. In light of this, I have contacted the Postulator General at the Passionist Generalate in Rome, hoping to recieve some clarification as to the authenticity of these 2 pictures. Hopefully he/they will be able to shed some light on this matter. I will post here any further information or developments. These two photos are so clear and full of life, and specially Saint Gemma's gaze on the one in the right has a special light and makes one feel as if she is looking right into one's soul. Saint Gemma's life (just like Padre Pio) is truly a gift in this modern world of so much unfortunate skepticism. Thank you for spreading devotion to this great saint. May God bless your Web site. I too would like to get some more information on these two pictures. Its no trouble at all. I'll post here whatever information I may recieve. St Gemma, pray for us. So, from this we can be certain that this particular picture dates back to Gemma, since this book was published by her spiritual director only 7 years after her death. This of course favors the authenticity of this picture, although it is not conclusive that it is an actual photograph of her. Father Giovanni Zubiani C.P., the Postulator General of the Passionists in Rome, kindly answered the questions concerning the photographs of St Gemma. In summary, the two pictures referred to in this discussion are most definitely authentic photographs, taken by a camera. This is the most wonderful and amazing St. Gemma website i have ever seen! Thank you Glenn Dallaire for your time and work on this website! It is a pleasure to meet you. I am glad you are enjoying the website. For me it is a "work of love", so to speak. This is the most complete website about Gemma Galgani. I have enriched my knowledge about this blessed and suffering saint. About the saint's photoss. Obviously one when she was much younger and healthy. The other: the affliction of her sufferings and sickness reflected on her face.It can make anyone change. I am sorry to hear of the tragic loss of your daughter. 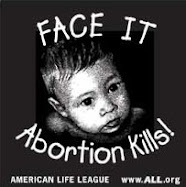 I pray that God may draw you ever closer to Himself during this difficult and painful seperation. Be assured of my poor prayers for you and your family. Thanks so much for pointing out the misspellings in the Novena. -I fixed them. And thanks again for your kind comment. I'm a devout person to Saint Gemma, this site is beautiful and it is a lot documented. I hope that you will make also the version in Italian, because italian sites aren't documented to much. May God bless you. Thak you so much for your kind comments. Along with the English and Italian versions of St Gemma's autobiography which are currently on the website, I am currently working on getting her autobiography posted in other various languages, especially French, Spanish and German. After that I hope to continue to offer more information in other languages, Italian included. The website itself is a ongoing project and for me it is really a "work of love". Ho scoperto per caso questo bel sito dedicato alla cara Santa Gemma Galgani. E' bello scoprire come la Santa sia amata e venerata in tutto il mondo. Grazie per il lavoro che state facendo! Mi unisco a voi nella preghiera. Sono lieto di incontrarmi con voi e sono felice di sentire che si sta godendo il sito web. Sì, Santa Gema è amato in tutto il mondo! Grazie per i vostri commenti. S. Gemma, prega per noi!. Mi unisco a voi nella preghiera. 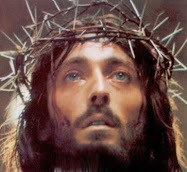 i was wondering if you can also write here about the recents saints like saint faustina and padre pio and also about the Feast of Mercy,about the image of Jesus painted by saint Faustina with the inscription "Jesus i trust in You!" if you can please do that and i'm sure you know what am im talking about. 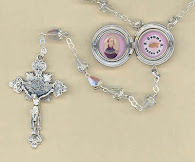 I look at your St. Gemma site pretty often, I must say. It’s got a wonderful and rare combination of seeing St. Gemma in original photos while reading her writings, or reading about her—this makes devotion to her a more concrete experience; many people forget that we are talking to actual, living souls when we pray to the Saints—just that they are in Heaven now, rather than on earth—and that a special relationship does indeed develop between us and them. This site is a marvel at fostering a true devotion and a true friendship with Saint Gemma. I have visited your website regularly and I am always happy for the updates. I love St. Gemma so much. I began to know her when I came across with Mrs. Ann Ball's book in a bookstore where her picture was the cover. That was in 2001. Since then I tried to search for more information about her. There were so few information about her on the internet then. I have known a fellow devotee through the net of our dear Saint and he was so kind as to sent me the book about the life of our dear Gemma by Fr. Germanus. She became an inspiration in my spiritual life. It has been an answered prayer to came across with your website because I have found in it all the details that I so long to find for a long time about St. Gemma. I wrote you to express my great gratitude and appreciation for your laborious effort in putting up this wonderful website. I know that Saint Gemma became better known because of your work. It is really nice to meet you. Thank you for your kind comments. I am really happy to hear that you are enjoying the website. It is also wonderful to hear of your deep devotion to Saint Gemma. And you know, there is surely something special about the Philippines and St Gemma. Apart from the USA I receive the most emails and holy card requests from the Philippines. Certainly many Philippinos have a deep devotion to St Gemma! Devotion to Saint Gemma is very alive in the Philippines! Anyway, thanks again for your kind words of encouragement and may St Gemma always be your special friend and heavenly advocate. Well I am glad that you "stumbled" here! I pray that St Gemma may inspire you and lead you ever closer to God. Why do you think that I "stumbled" here...I had never heared of St. Gemma and then there she was !I seem to be so confused...I do not even understand why I would write to you !..I am growing older and unemployed...and I suppose looking for something.......Sorry to go on like this...not my usual MO. I think when we die we will be wonderfully astounded and amazed at so many things, one of them will surely be how much God arranged things in our life; joys, illnesses, losses, triumphs...like a patchwork of fabric sewn together to form a beautiful quilt. God arranges everything in our life for our greater good, to draw us closer to Him, and trials and sufferings are one of the "instruments" that He uses to draw us closer to Him. He also uses others whom we call His "servants" to draw us closer to Him by their heroic example of love, virtue, holiness and devotion to God. And St Gemma is one of His servants. So, did you end up here by coincidence or by God's Providence? Well, read through the site a bit and if Gemma touches your heart, inspires you, and leads you closer to God, then I think you will have your answer, along with a new friend in heaven. All I can say is Thank you!!! and I suppose continue on whatever journey Providence has in store for me ! With further reading I find it amazing that St. Gemma is the patron saint of migraines and the loss of a parent. I sufferred from migraines for 25 years, I wish I had known then to pray to her. Thankfully they disappeared a few years ago and I have been migraine free. Also my dear father went to heaven 2 and a half years ago and we were so close that it continues and will continue to be extremely painful.Now perhaps I'm beginningto realize why I "stumbled" here.Now I'm going to read about St. Gemma's similarities to "The Little Flower", always one of my most favorite saints ! God Bless St. Gemma and you. Thanks for your comments. I am glad to hear that you are reading through the website a bit. I pray that St Gemma may inspire you and lead you closer to her beloved Jesus. A wonderful site for a too overlooked saint! I first found Saint Gemma in a encyclopedia of saints I have. I was just flipping through and found her picture. She has such a serene look on her face. I have recently been praying to her for money. It seems shallow and I am somewhat ambarrassed by it but we are on the verge of foreclosure and bankruptcy. I have been married to my perfect match for 13 years, we have a beautiful 10 year old daughter and finances are our only problem. Thank you again for this site! It is nice to meet you. Thanks for you comments. As for myself, I don't believe at all that praying for financial help in your situation is "shallow", nor should you be embarrased to do so, considering the seriousness of the situation. I pray that St Gemma may intercede for you with God and obtain help with your financial situation. whPlease pray for me. I am in a depression; since we are having financial problems. I have beel looking for a part tome job to no avail, and husband's job has changed some financially. Please as Saint Gemma to intercede that situation improves. I was at a youth 2000 Face to Face retreat with my children's youth group in January. The hall was set up with banners of various saints. During the rosary I noticed one banner in particular of a lovely, serene looking young woman and I was immediately drawn to her. I noticed her name and had never heard of St. Gemma Galgani. Just her look touched that that night I googled her and found your website. I bought her autobiography and biography and have been dedicated to her since. I have always had bad back and had spinal surgery not long ago. My daughter wants to be a physical therapist. It's as if we now have our own patron saint. She makes you want to be like her. Thank you for this website. Do you know where I may obtain a print of the Immaculate Heart of Mary print you have on this website?